With Members Money, the odds are in your favour and determined only by the number of entries in the barrel. 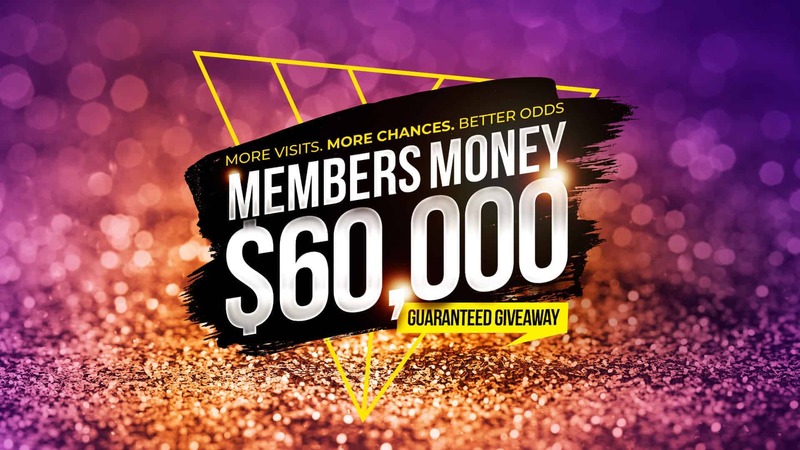 More chances to win the cash, more reasons to make Twin Towns your Club and the more you visit the Club, the more entries you’ll have in the weekly draw. In February, it’s Twin Towns; March it’s Twin Towns Juniors; and April it’s Club Banora. Be at Twin Towns on Thursday 7, 14, 21 and 28 February at 6.30pm Qld (that’s 7.30pm NSW) for the chance to pick up a cool $5,000. The draws alternate each month between the three Clubs – Twin Towns, Juniors and Club Banora.